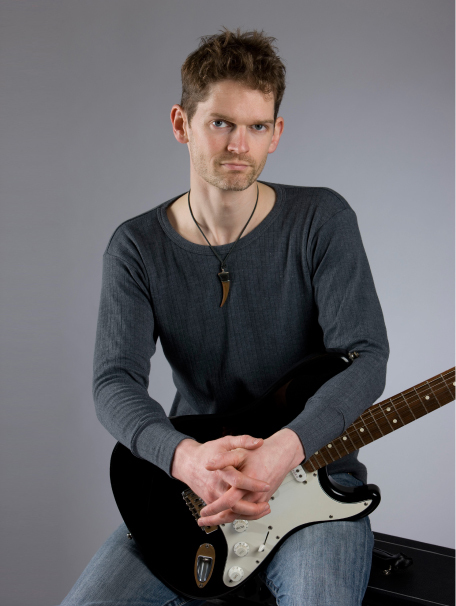 Stuart Bahn is a professional guitar teacher in Ealing. He has been teaching guitar lessons for 20 years in a wide range of musical styles for electric, acoustic and classical guitar. To see what you can learn in Stuart’s guitar lessons visit the lesson content pages. 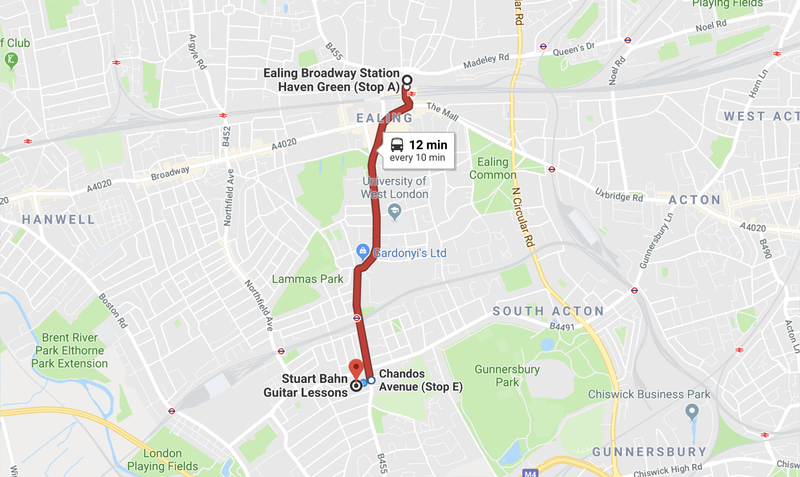 Guitar lessons take place at Stuart’s home just 2 minutes walk from South Ealing tube station. 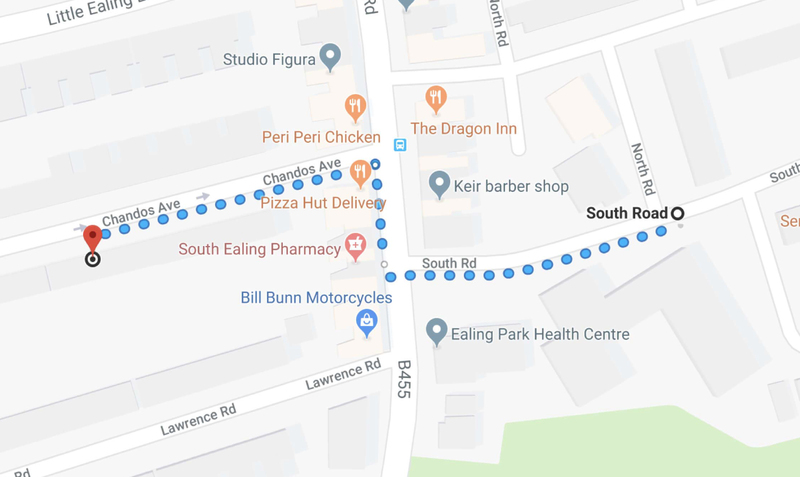 There is free parking, but if you need to take public transport, you can take the tube or the E3 or 65 buses, both of which stop very close to Stuart’s home. 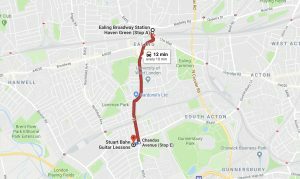 Guitar lessons with Stuart take place at his home on Chandos Avenue, South Ealing. 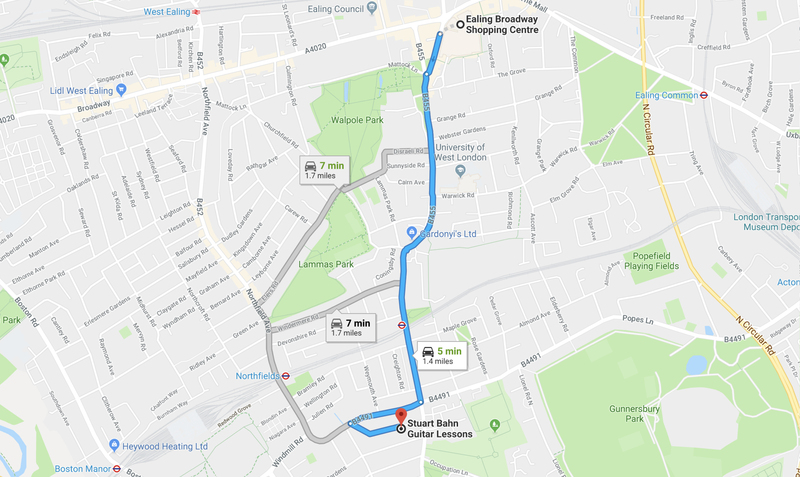 Chandos Avenue is just a short 5-minute drive from Ealing Broadway, or from West Ealing. If you are using SatNav or Google Maps, please use the postcode W5 4EP for directions. Parking details are below. Parking is free and unrestricted except for 3-4pm during the week. During this time you would need to park on South Road which is shown below. Alternatively, it may be more convenient to book your guitar lessons outside of this time. 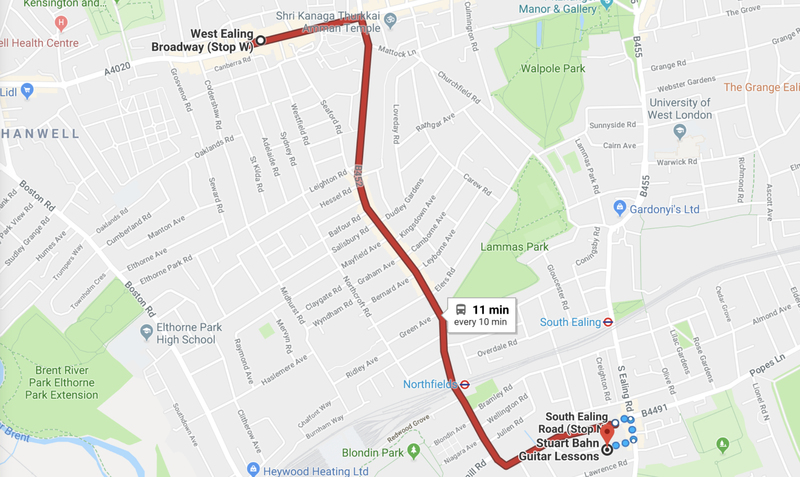 The two Ealing buses that can take you to your guitar lessons with Stuart: E3 and 65. From the west the E3 comes from Hanwell and west Ealing, and from the east it comes from Acton. Coming from either direction you should alight on Popes Lane (Stop U). 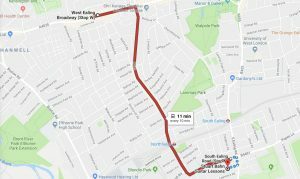 From there it is a 1-minute walk to your guitar lesson. 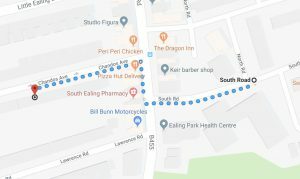 The 65 bus comes from Ealing Broadway, directly to South Ealing. You should alight at the Chandos Avenue bus stop. From there, you have just a 1-minute walk to your guitar lesson with Stuart.